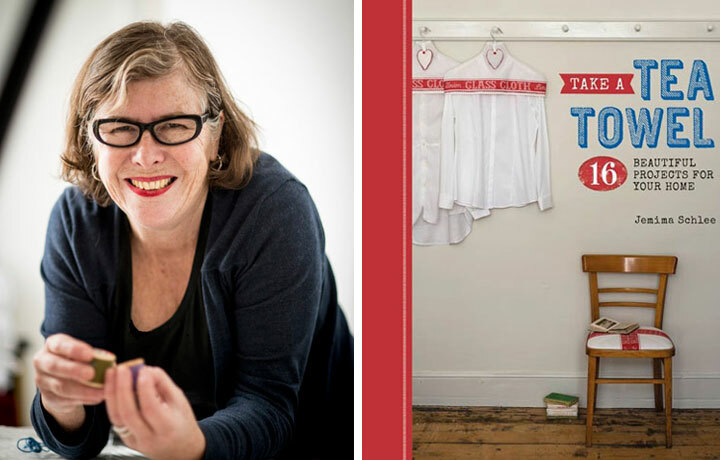 To celebrate the launch of her very first book, the lovely Jemima Schlee is coming to host a FREE craft workshop at Brighton sewing centre on Thursday 16th April 2015, 6.30pm – 8.30pm. You’re welcome to come along to learn how to make her adorable Dorset buttons and take a set away with you at the end of the night. You’ll also have the opportunity to admire some of the gorgeous home accessory projects from Take a Tea Towel. Each one incorporates a variety of craft techniques, including hand and machine sewing, embroidery and dip-dyeing, to demonstrate what can be made using just a tea towel and a dose of creative flair – you’re sure to be inspired!